What do pollen levels mean for me? Pollen is a very fine powder released by plants that is spread by the wind. For some people who are allergic to pollen it can be a problem. This is especially true for people with allergic rhinitis, hay fever, or asthma. How do you know if pollen is a problem for you, and what do you do if it is? How do I find out my local pollen count? How will different pollen counts affect me? How do I manage a high pollen count? How can I avoid pollen in general? In the UK – it is the Met Office who monitor pollen count. They produce a five-day forecast and an interactive map on the Met Office website that ranks the pollen count into four categories. 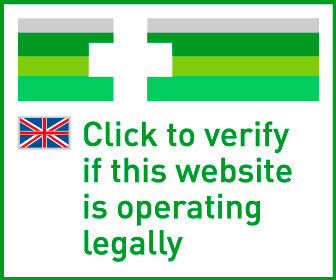 Outside the UK – a similar service is usually available for locations outside of the UK too. For example, in the USA there is the National Weather Service. Make sure you’re checking the right location so you don’t get caught unawares. If you know you're sensitive to pollen – if the pollen count forecast predicts high (H) or very high (VH) levels of pollen, then you should be prepared to experience hayfever symptoms and you may want to consider using preventative medicines (see sections below). Reactions depend on if you are allergic or not – if you are not affected by pollen allergies, then an increased pollen count shouldn't cause you any problems. If you have a condition such as hay fever or asthma then it is likely that you will be affected by the pollen count. How do I know if I have hayfever? – a doctor can assess you for hay fever by asking questions about your symptoms and ruling out other causes. They may ask you about conditions that you or your family members have such as asthma, eczema or other allergies. They may ask you if you experience itching in your nose, or whether antihistamines and nasal sprays help. Answering yes to these questions suggests a diagnosis of hay fever. Allergy testing can be carried out using a skin prick test or blood test. However, this is only really necessary if it is not clear whether hay fever is the problem, or if the medicines for hay fever are not helping you. What if I have a pollen allergy? – Pollen count is sometimes split into three types: trees, grass and weed. It is possible for you to be allergic to one or more of these types, although an allergy to grass pollen is the most common. Each has its own yearly pattern of pollen count levels. March to May – tree pollen. May to July – grass pollen. June to September – weed pollen. If you experience these problems during the summer months, then it is reasonable to assume that you are affected by the pollen count. Different people are affected by pollen in different ways. Some people may only experience symptoms during times of high (H) or very high (VH) pollen count; others may experience symptoms even during times of low (L) or moderate (M) pollen count. Try to keep an eye on the pollen count in your area and note your symptoms to figure out how you will react to different levels of pollen. If you can predict how you will react to the pollen count over the next few days, you can take precautions or medicines to control your symptoms. If you have hay fever and the pollen count is low (L) or moderate (M) – you may be able to rely on medicines that are used to treat symptoms only after they start. Can a change in diet help? Avoid pollen – if the pollen count is high (H) or very high (VH) and you are affected by hay fever, try to avoid pollen as much as possible (see below). Try not to rub your eyes as this can worsen symptoms. You may be able to relieve symptoms such as sore eyes using a cold compress. See a doctor – you should make an appointment to see your doctor if your hay fever symptoms are affecting your day-to-day life. They will be able to offer recommendations specific to your needs or prescribe stronger medication. Use your preventer inhaler more (if you have one) – for people with asthma, you may need to use your reliever inhaler more often during times of increased pollen count, or speak to your doctor about changing the dose of your preventer inhaler. There is still pollen all year round – although March to September is considered the period with the highest pollen count, there is sometimes pollen in the air as early as January, or as late as November. You may have a specific allergy the usual pollen count doesn't take into consideration – you may have an allergy to a very specific type of pollen that causes symptoms even if the pollen count is low (L). Something other than hayfever – if you have followed the guidelines above and the pollen count is low (L), it could be possible that you might have developed a secondary condition such as asthma, eczema or sinusitis that is no longer dependent on the pollen count. If you suspect this is the case, you should make an appointment with your doctor. If you suspect that this is the case, you should speak to your doctor. Avoiding grassy areas if you are allergic to grass pollen, or wooded areas if you are allergic to tree pollen seems like a sensible thing to do if you are concerned about pollen count. However, since pollen is spread by the wind, any outdoor area is likely to be a problem. Wearing sunglasses may help keep the pollen out of your eyes while you are out and about. If you do need to go outside and the pollen count is high (H) or very high (VH), you may want to consider wearing a face mask to filter the air you breathe. One of the best methods of avoiding pollen is to stay indoors as much as possible, especially during the worst times of the year (March to September), and during the peak pollen count times of the day (between 10 am and 3 pm). If you are staying inside, remember to close your windows. The same applies to the windows of your car. Pollen starts being released into the air very early in the morning, so don't wait until lunchtime to close the window. You may want to remove any plants or flowers that you have in your home that could be releasing pollen. Unfortunately, even with your windows and doors closed and all your plants outside, it is still very easy for pollen to enter your home. If you've been outside, pollen may have collected in your hair or on your clothes and skin. Showering once you are home should rinse this off, and washing your hair will prevent pollen being transferred to your bedding overnight. If you hang your clothes out to dry, pollen may have collected on them. So try and dry clothes indoors. Likewise, a cat or a dog that has been outside may be bringing pollen in on their fur. Make sure you wash your pets and keep their fur trimmed. By vacuuming regularly, you should be able to remove any pollen that has settled in your home. If you can figure out which type of pollen triggers your symptoms, then it may be possible to find out which parts of the country or even the world will affect you the most. It may take some research, but there are maps available online that show pollen hotspots for grass, weed and trees. Centre Of Meteorology on the Isle Of Wight (2017). Pollen Forecast. The isle of Wight Weather Centre. [online] Available at: http://iwweather.org.uk/forecast-room/pollen-forecast [accessed 8th January 2018]. Clinical Knowledge Summaries (2017). Conjunctivitis - allergic. NICE. [online] Available at: https://cks.nice.org.uk/conjunctivitis-allergic [accessed 8th January 2018]. Clinical Knowledge Summaries (2015). Allergic rhinitis. NICE. [online] Available at: https://cks.nice.org.uk/allergic-rhinitis [accessed 8th January 2018]. Hoff, S. et al (2004). Allergic sensitisation and allergic rhinitis are associated with n-3 polyunsaturated fatty acids in the diet and in red blood cell membranes. European Journal of Clinical Nutrition, May; 59: 1071-1080. Rajan, T. V. et al (2002). Effect of ingestion of honey on symptoms of rhinoconjunctivitis. Ann Allergy Asthma Immunol., Feb; 88(2): 198-203. Scadding, G. K. et al (2008). BSACI guidelines for the management of allergic and non-allergic rhinitis. Clinical & Experimental Allergy, Jan; 38(1): 19-42.